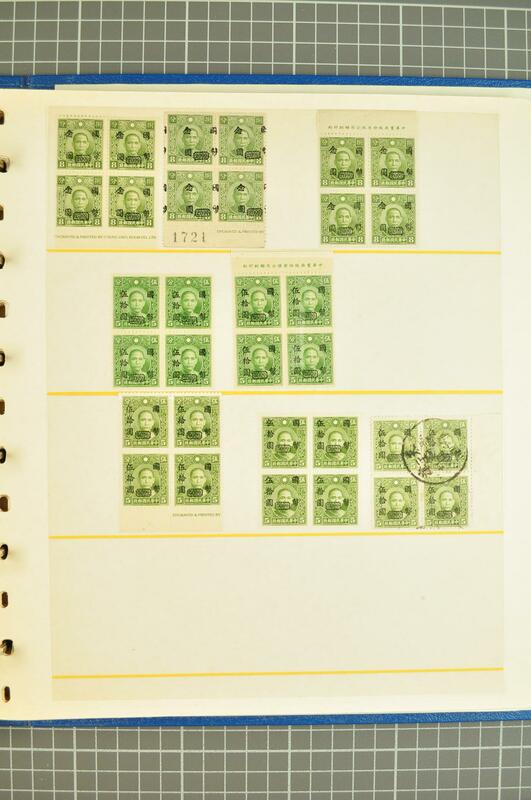 1945/48: C.N.C. 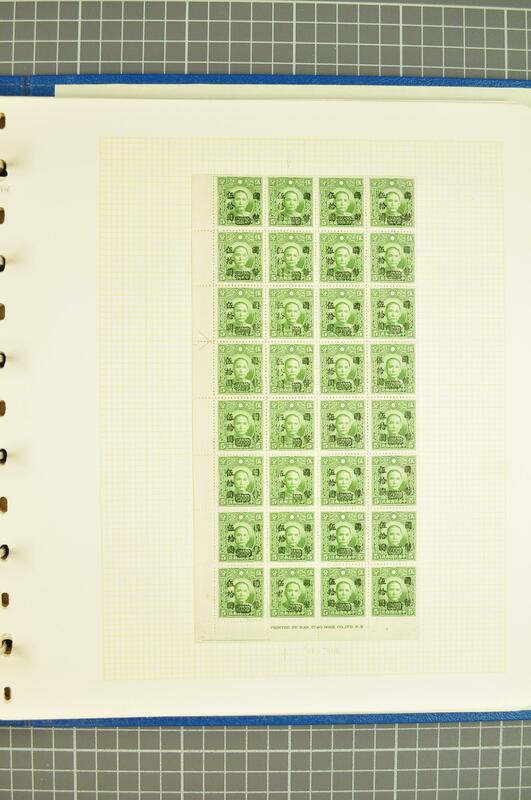 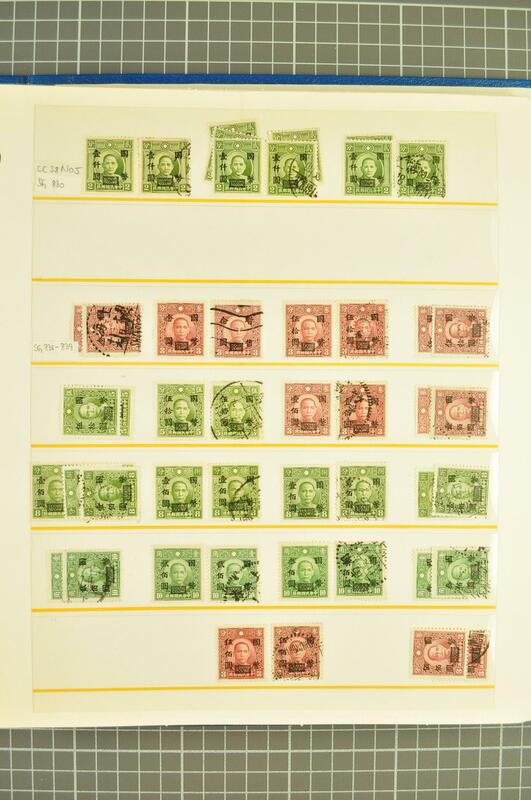 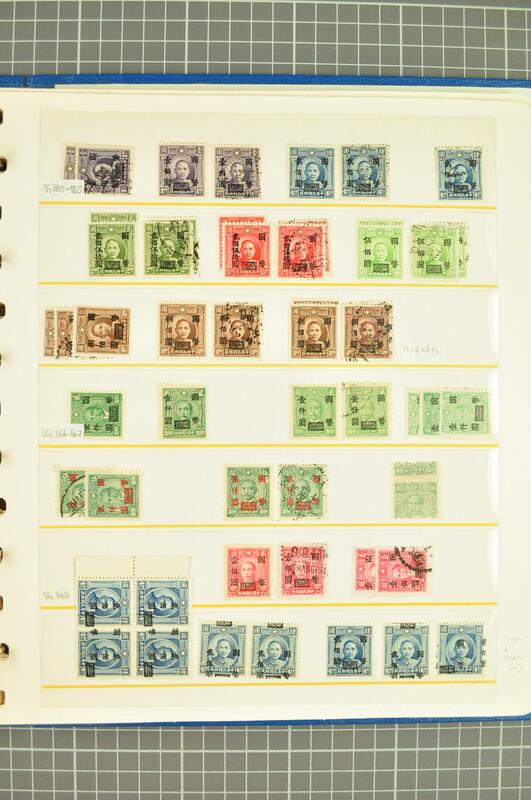 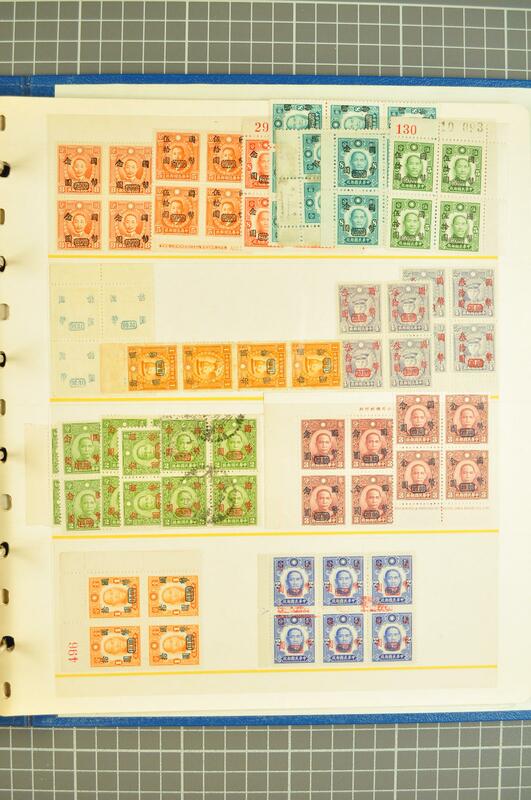 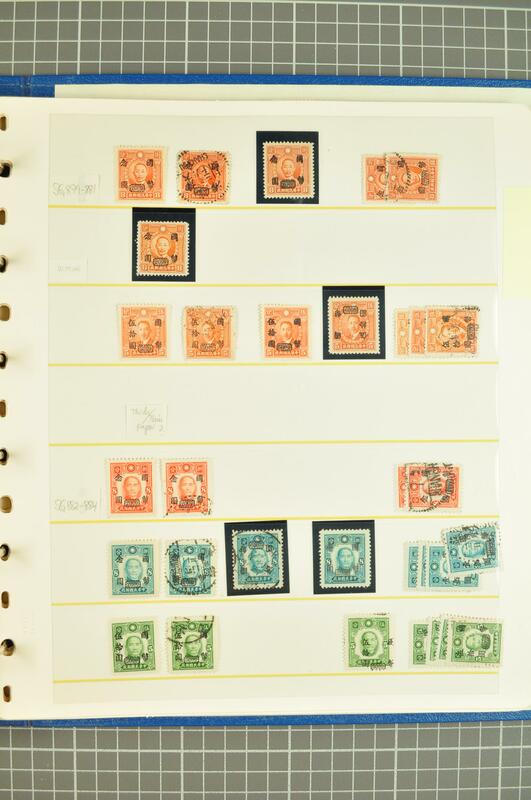 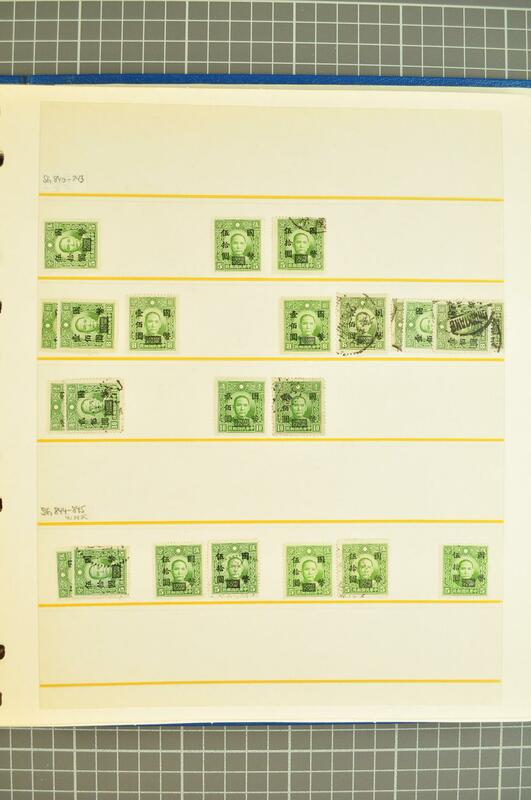 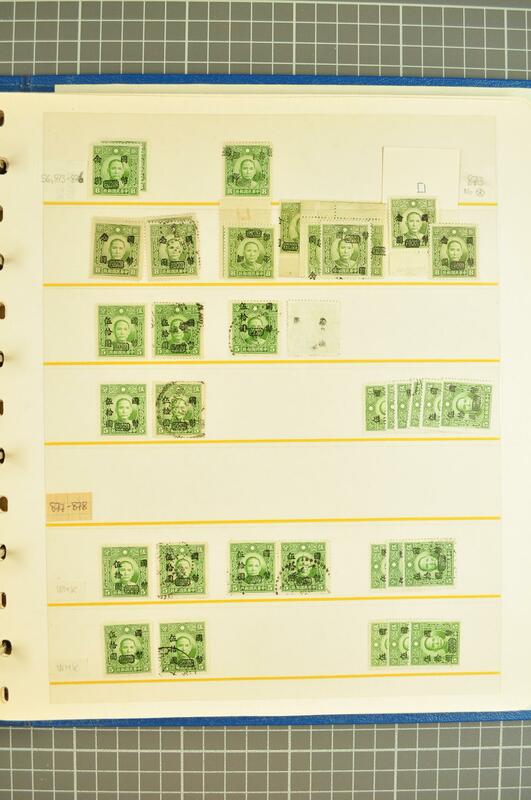 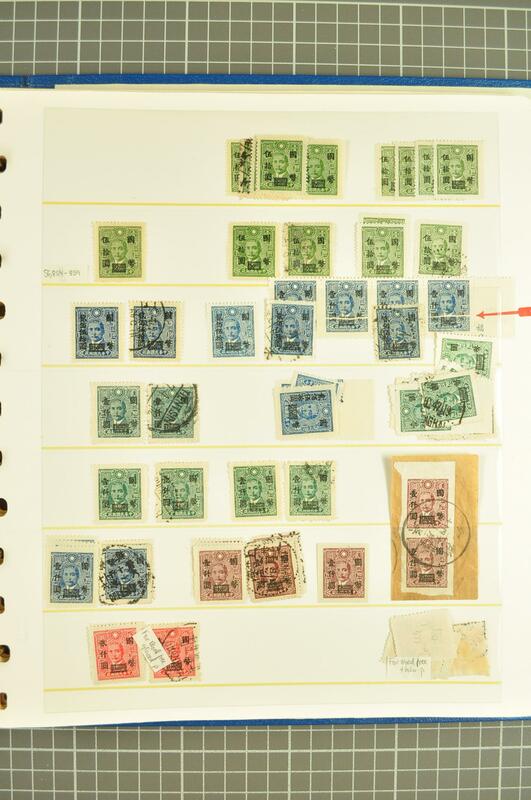 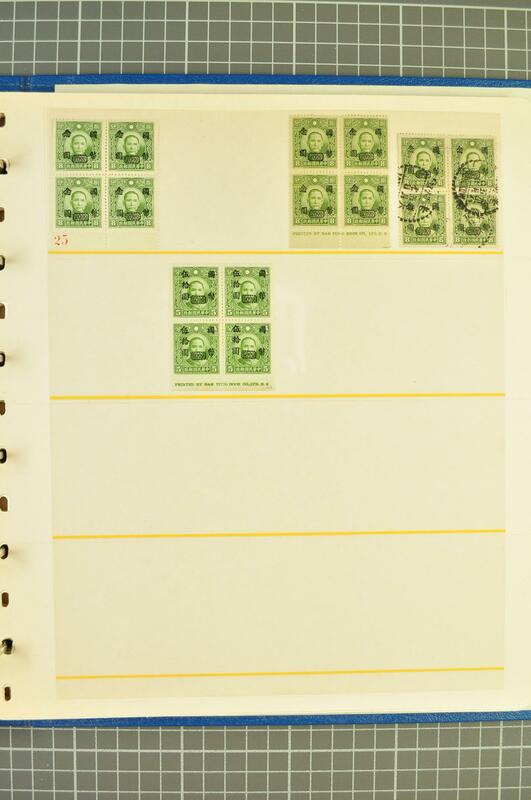 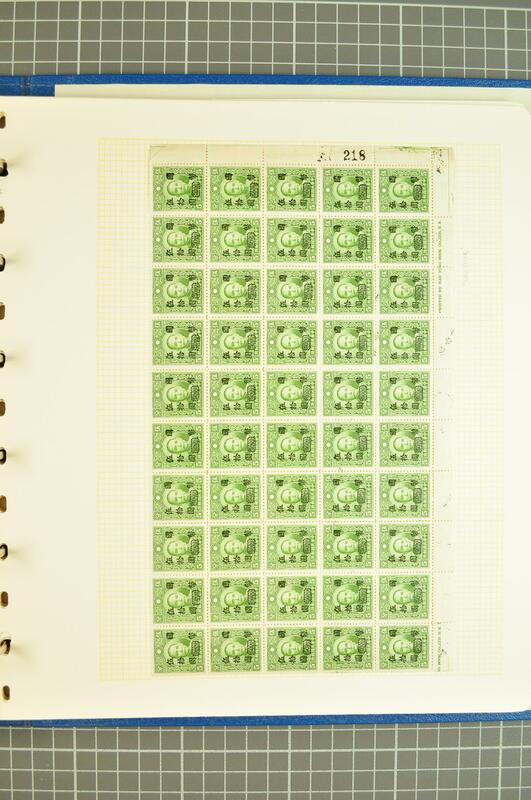 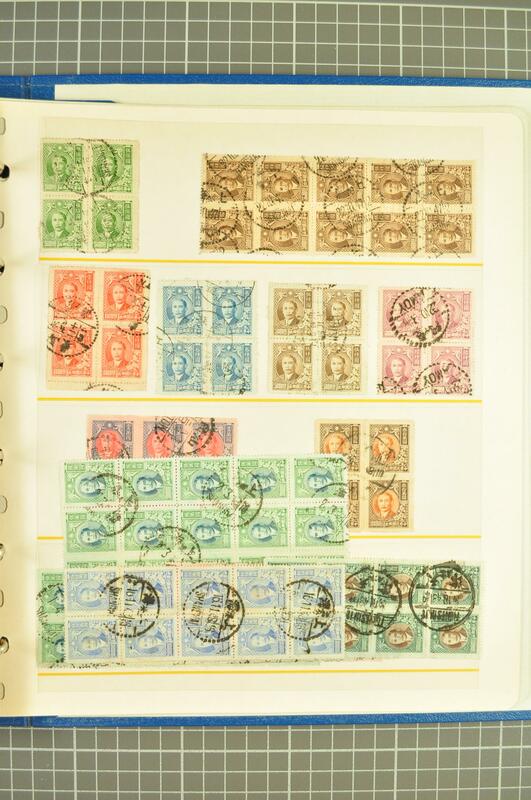 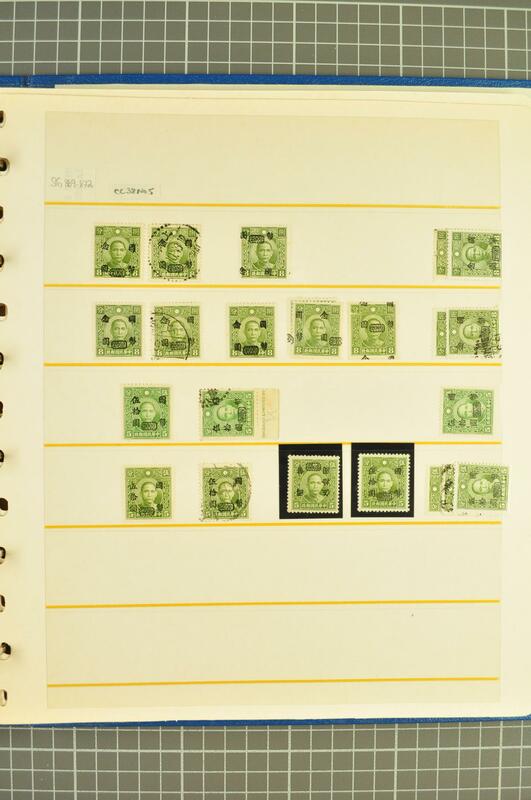 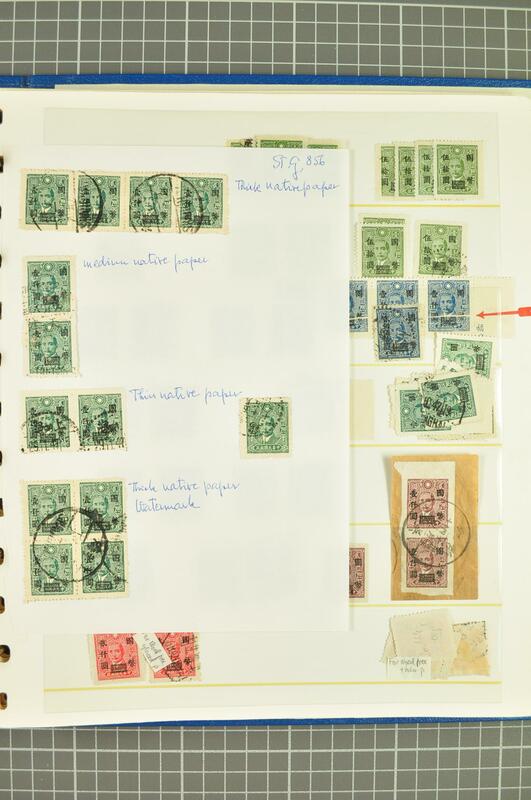 Surcharges, the voluminous collection with Nov 1945 $ 3 on 2½ c. claret unused (4) and used (2), $ 70 on Martyr 13 c. blue-green used (Gi = £ 500), 1946/48 set complete with unused, used and duplication / multiples incl. 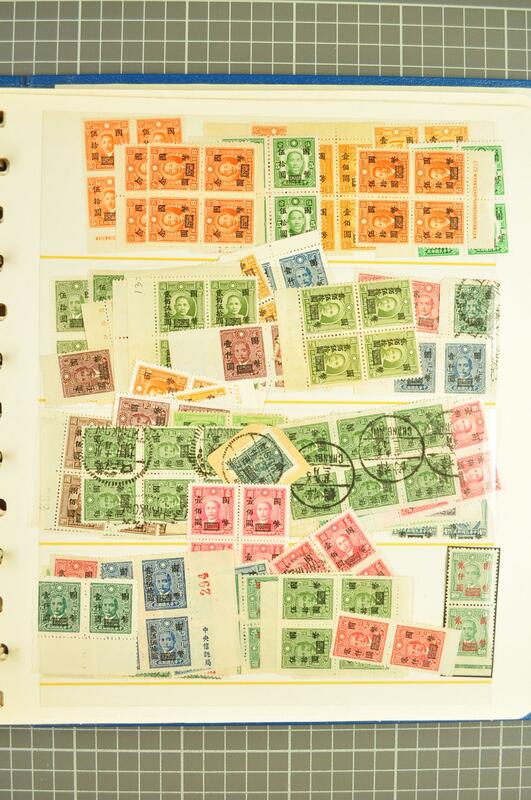 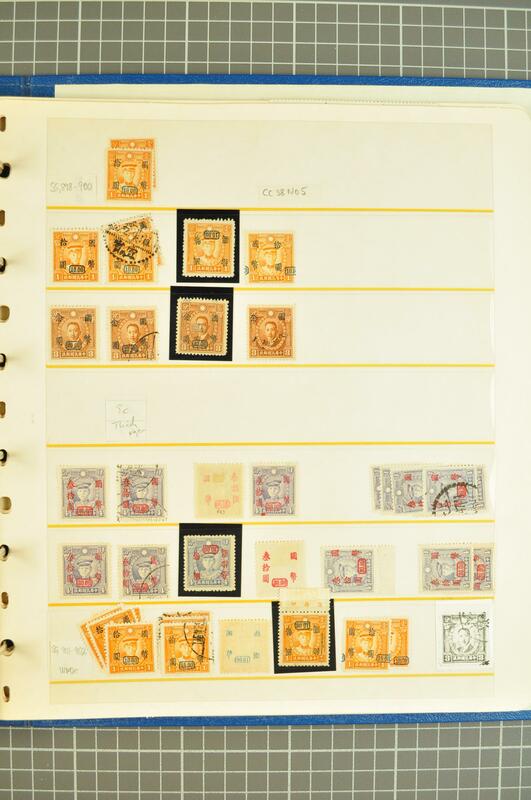 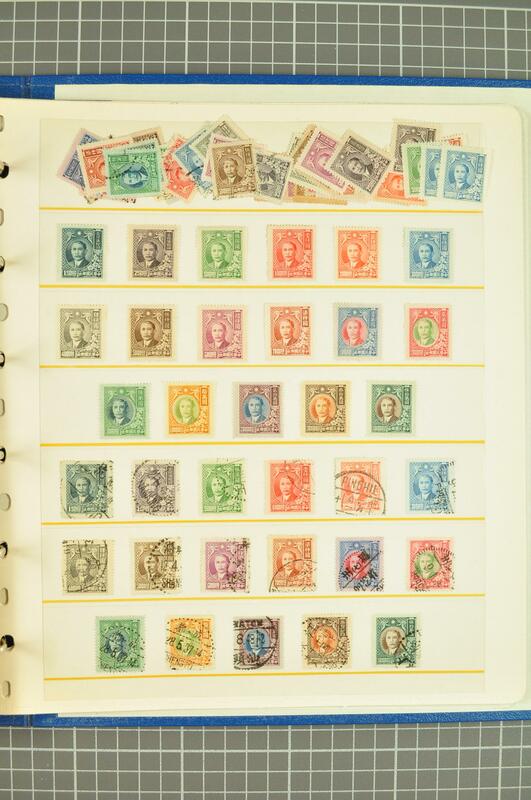 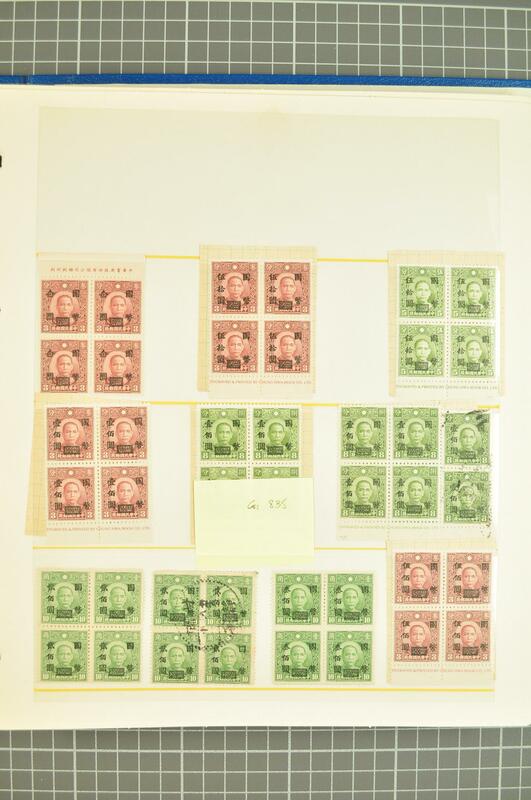 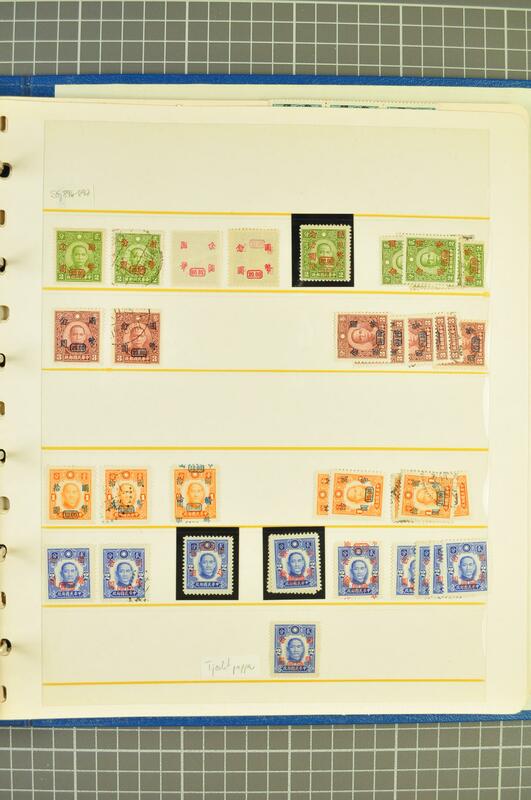 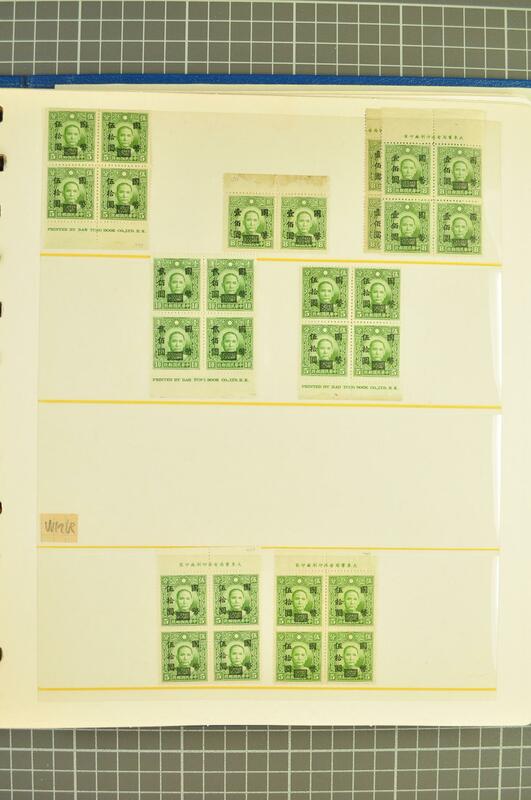 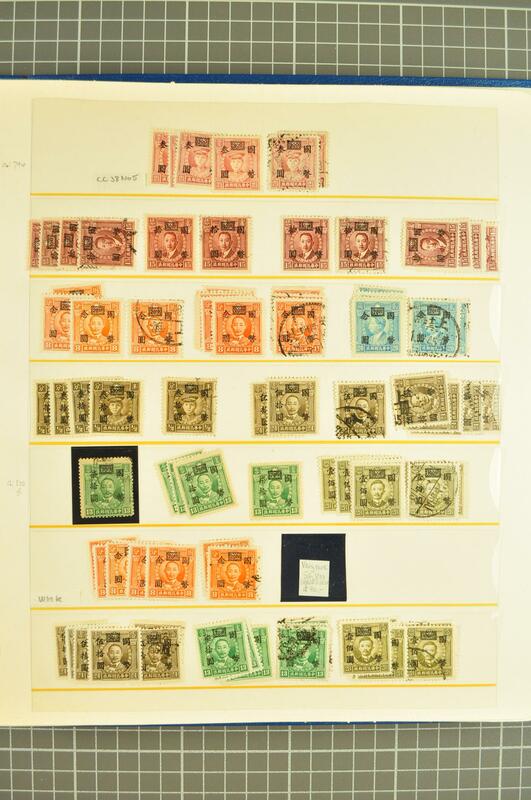 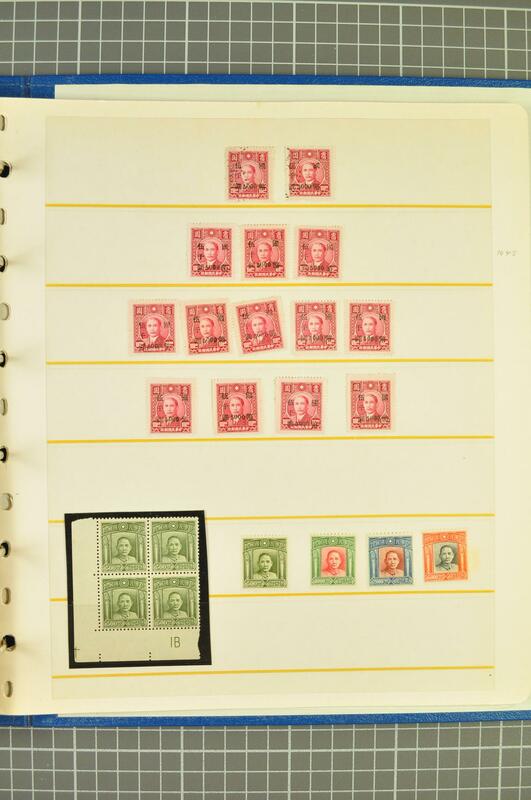 $ 100 on 8 c. sage (C) in a unused block of four (Gi 835), wmk'd $ 50 on 5 c. olive in a block of four (Gi 845 = £ 200), $ 1'000 on $ 2 purple-brown imperforate single unused and pair used on piece, $ 200 on $ 4 blue with surcharge 'à cheval' varieties (9), $ 50 on 5 c. green opt. 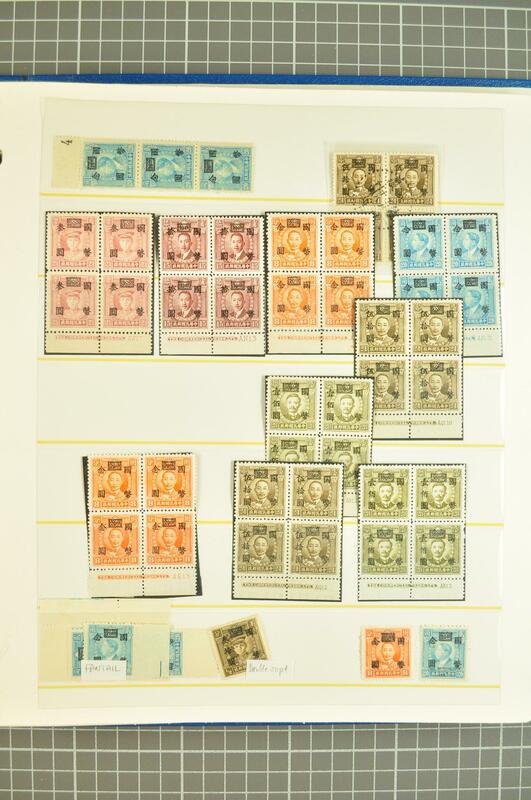 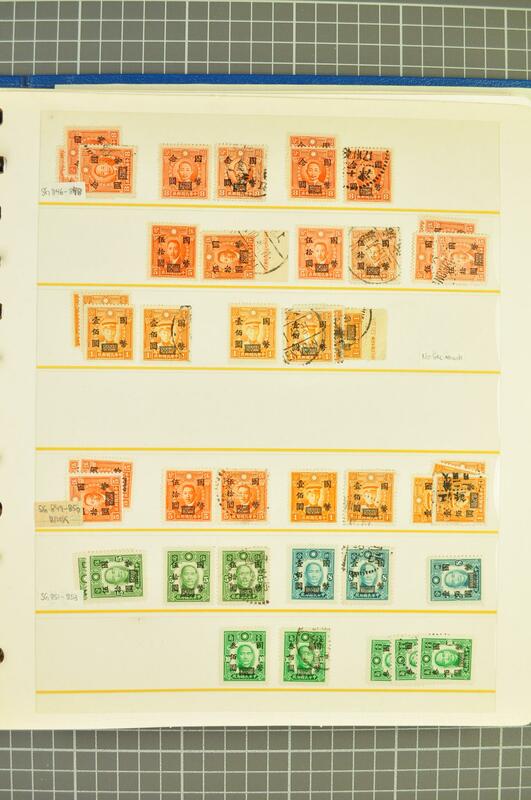 inverted unused, $ 20 on wmk'd Martyr 8 c. orange used (Gi 881 = £ 1'200), $ 20 on 8 c. surcharge inverted used, Sept 1946 $ 10 on 1 c. surcharge inverted unused and wmk'd example with same variety, $ 20 on 2 c. surcharge inverted unused, Kwangsi provisional $ 5'000 on $ 100 crimson unused (12) and used (2), 1947/48 SYS set unused and used etc., the whole collection in fine quality with duplication and multiples throughout.